What Is a US Exchange Visitor (J) Visa? Immigration is a hot-button topic, and more attention is being paid to the different kinds of visas available to citizens of countries other than the United States. One of the most common forms is the US Exchange Visitor (J) Visa. US Exchange Visitor (J) non-immigrant visas are for individuals approved to participate in work and study-based exchange visitor programs. The J-1 visa enables foreign nationals from over 200 different countries to visit the United States to experience life in the U.S., with the intention to return to their home countries with an appreciation of other cultures, languages, and ways of life. The program also serves to supply American organizations with a pool of workers to meet needs not fully addressed by American workers. For example, 104,000 visas, almost 1/3 of the 331,000 J-1 visas issued in 2017 were for the summer season. Those visa holders served mostly in the hospitality industry and as camp counselors, positions where it is difficult to find enough U.S. workers. 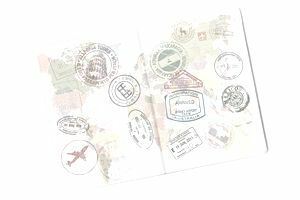 If approved, recipients of a J-1 visa can remain in the US for the duration of their program, plus they may arrive 30 days prior and depart 30 days after the program ends. Any time before or after those guidelines is considered a violation of the visa terms. The eligibility requirements, duration of visits and opportunity for repeat participation vary greatly by program. Many of the categories such as the Summer Work Travel and Au Pair programs require that visa holders be current high school or college students or meet certain age requirements. Others including the Short-Term Scholar, Professor and Research Scholar, Trainee, Specialist, and Alien Physician require a specific academic background, status in their home country, or the demonstration of special skills. The duration of J-1 visas ranges from as little as one day for a visiting lecturer to seven years for an Alien Physician. Participants in summer options like Camp Counselor and Summer Work Travel are covered by four month J-1 visas. Others are approved for one to three year stays in programs such as Trainee, Intern, Au Pair, Specialist, and Teacher. Most of the programs allow participants to apply for a repeat visit though for some categories including Trainee, Professor and Research Scholar, Teacher, and Au Pair, this entails a requirement that applicants reside outside the United States for a period up to 24 months unless they are approved for a waiver. Waiver Programs to Stay in the U.S.
A claim of Exceptional Hardship to a U.S. citizen or legal permanent resident spouse or child of an exchange visitor if the exchange visitor is required to return to the country of residence. A claim that the participant will be persecuted due to race, religion, or political opinions if he/she returns to the country of residence. A request from an interested U.S. Government Agency on the participant's behalf. A No Objection Statement from your government. A request by a designated State Health Department or its equivalent. The application process is rigorous and can be time-consuming. In order to apply for a J visa you must first apply, meet the requirements, and be accepted to an exchange visitor program through a designated sponsor organization. A list of sponsoring organizations is available online and applicants need to contact the sponsors directly to take part in one of the exchange programs. Once you have been accepted by a sponsor, the organization will assist with the visa application process. Prospective exchange visitors apply for the J-1 visa at the U.S. embassy or consulate in their home country using the Form DS-2019 issued to them by their designated sponsor. If you live and work in the United States during the exchange, you will need to show your visa to employers to ensure you can work in America legally. Your visa should be on you at all times to avoid any misunderstandings or issues with immigration. The US Exchange Visitor (J) visa is an opportunity for outside citizens to enter the United States for an enriching learning experience. Workers who have gone through the exchange program are highly sought after by employers for the perspective and education they received overseas.